Every Friday a new model will be debated so you have 1 week to decide the current debated on model's fate on the Motorcycle Cool Wall. HAVE A SUGGESTION ON WHAT THE NEXT MOTORCYLCE MODEL TO APPEAR ON THE TOTAL MOTORCYCLE COOL WALL SHOULD BE? Do you have a great suggestion on what next motorcycle model you would like to see appear on the Total Motorcycle Cool Wall to be debated, voted and ulimately be decided it's coolness factor? Then post a reply to this thread for next model consideration. A new model will be added each Friday. WHAT MOTORCYCLE MODELS CAN IT BE? The URAL ST ( http://www.totalmotorcycle.com/photos/2 ... ral-sT.htm ), definately an interesting bike to see where it fits on the Total Motorcycle Cool Wall. I'll suggest the new Norton Commando. Any model will do. The the new Norton Commando is one sweet bike, we will definately have to have that one on the TMW Motorcycle Cool Wall as well...but I'm afraid I'll be just a tad bias as I love the look of it a lot. lol. Strange enough, it looks like URAL has discontinued the ST after 1 year...unless they intend to redesign it. totalmotorcycle wrote: Strange enough, it looks like URAL has discontinued the ST after 1 year...unless they intend to redesign it. Not sure where you got that from, as it is still listed on the Ural USA website and several members on the various owners forums have them on order. The ST is only available in the US, though, as Ural Canada felt there was not enough of a market here to justify importing them. I have contacts at Ural Canada and Ural USA, I can put you in touch with them if you'd like. Thanks for the update, sorry I did miss the model. URAL had it hidden away on their North American site http://www.imz-ural.com/ only to be listed in the drop down menu (not on the main page model photo bar). I have added it to the 2011 Ural Models. I have to admit here that I thought the whole idea of Ural offering a solo bike was not a good plan. To me it was the right bike at the wrong time, but Ural seems to be selling every one that they make in spite of the present dismal economic climate. Is this / should this be limited to currently available bikes? (At least available somewhere in the world). 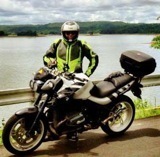 E.g, no Triumph Tiger 800 yet, because you can't buy one yet (March 2011). No Honda Crossrunner, same reason. 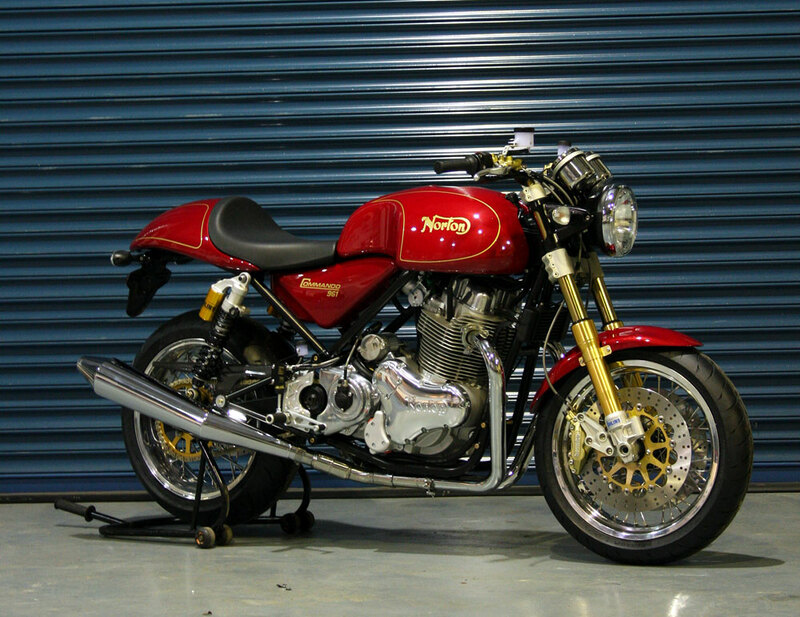 Are those Norton 961's actually available to buy finally (they've been teasing us with those things for years). The Norton guy at the motorcycle show told me that the Commando on display is the first one in North America and that when they become available this spring they will be selling for about $21,000 cdn. rayian wrote: The Norton guy at the motorcycle show told me that the Commando on display is the first one in North America and that when they become available this spring they will be selling for about $21,000 cdn. A little over the top for my budget. I like to pay cash. With all this chat about the Norton, should it be the bike on Friday then or have you all chatted yourselves out about it? haha. The Honda Slammer Bagger....cuz it is so fugly. blues2cruise wrote: The Honda Slammer Bagger....cuz it is so fugly. So out of 10 on the fugly factor, what do you give it? I'd vote for the Honda Crossrunner too. I really don't know what to make of it. Grey Thumper wrote: I'd vote for the Honda Crossrunner too. I really don't know what to make of it. Maybe we should wait until next year for the Crossrunner? I don't think any real live production Crossrunners actually exist, like there's nothing around someone could really touch or sit on (let alone test ride). I think all we have are photos of a concept bike shown at EICMA. It's "supposed" to be in production in 2011 though. Maybe we should do the VFR1200F and/or VFR1200FD next? Those are actually for sale in showrooms now - I sat on one in December.